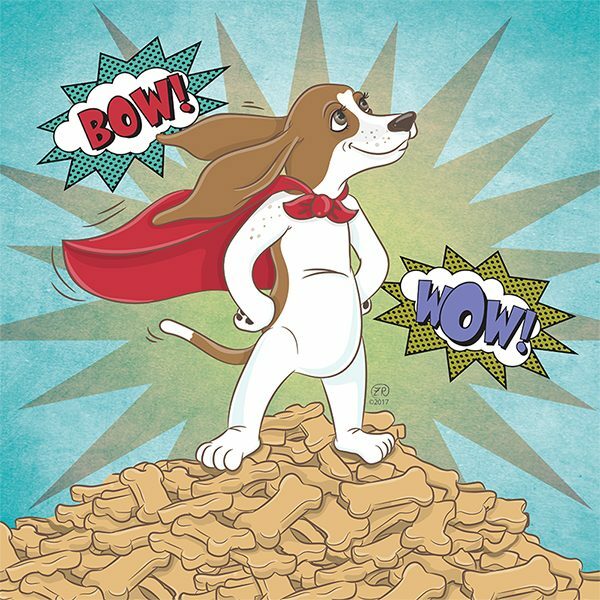 My Dharma the Basset Hound character in a heroic pose on top of a mound of dog treats. Bow! Wow! Vector art created with a Wacom tablet and Adobe Illustrator CC.